See amazing wildflowers in spectacular mountain setting. 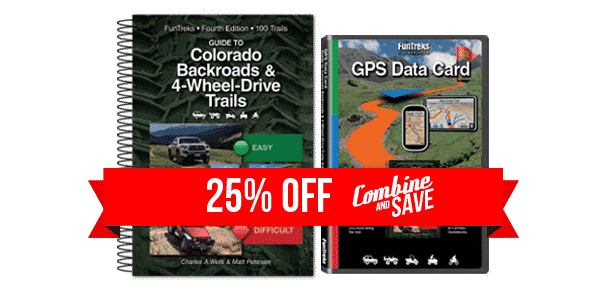 One of the most popular destinations in the Ouray area due to its stunning natural beauty, rich history, and colorful wildflowers. At the height of spring color, photographers flock to the area. Popular landmarks include the Drinking Cup, Twin Falls, Atlas Mill, Camp Bird Mine, and the rock overhang. Because the area is used so heavily, camping is restricted to designated areas and a fee is charged to camp. Road open to all vehicles May 1 to Nov. 11. The lower portion of the trail is easy. Beyond the toilet, the trail gets rocky, narrow and steep, but is suitable for aggressive, high-clearance, stock SUVs. A gate for the upper portion of the trail is closed until the snow melts, usually in late June or early July. 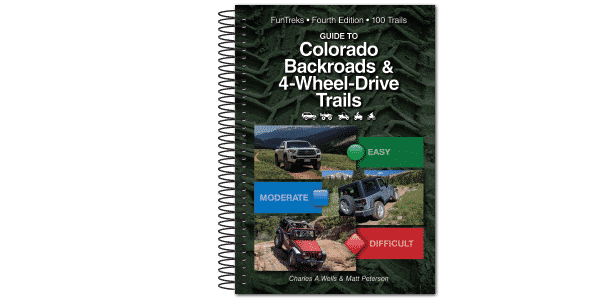 Due to our findings driving this trail in the summer of 2018, we have changed the rating of this trail to Difficult in our 4th edition book from Moderate in our 3rd edition. See the below update for details. The trail is now rated difficult near the top between Wpt. 04 and 05 starting at the seasonal gate. A good driver with a high clearance SUV can still get to the top. There is a parking area at Wpt. 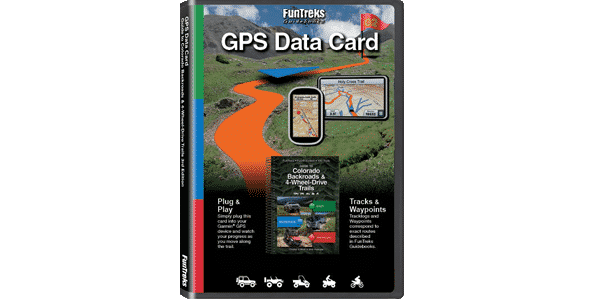 04 for those that want to hike the last mile and can’t drive it.